Jacqueline Woodson was named the National Ambassador for Young People’s Literature for 2018 and 2019. 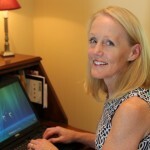 As a writer, she changes the way her readers think and feel. As a champion for children’s literature, she will continue to reach our hearts and minds. “I definitely believe that reading can change us and shape us in so many ways, and through it we can be exposed to people and places and ideas that we might not otherwise come across or confront in real life.” (Maughan, 2018, para. 6). Woodson will inspire children to read with her slogan Read = Hope x Change. Let’s weave this phrase with the AASL Standards and get kids involved. We can start by asking them to curate books that include a range of perspectives. National School Library Standards for Learners IV.B.2: Collecting information representing diverse perspectives. What books have changed the way you see the world? I bet you can name a few, and so can your students. Why not ask them to curate a list of books that changed their thinking? Here is a lesson idea for you to try. Next, tell the students they have a job to do. First, they need to think about books that changed their lives. Then, they will curate a list of these dangerous books. 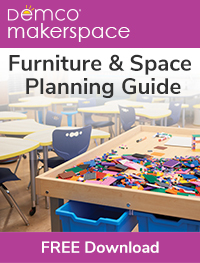 They can share their list on a Padlet, a document, or a hand-crafted bookmark. Their list will include a 2-3 sentence summary of the book and how it affected them. National School Library Standards for Learners ll.B.1: Interacting with learners who reflect a range of perspectives. 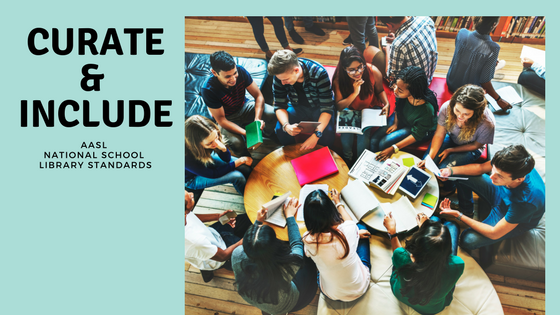 Prepare students for a group discussion. Model what it looks like and sounds like to have a discussion. The book Teaching Talk, by Kara Pranikoff, offers lessons in developing meaningful discussions. Pranikoff describes how children can take an active role in this process. By recording their conversations, children can watch or listen to their dialogue. They can then consider what went well and what needs improvement. It takes time to set the foundation of conversation, but it’s time worth spending. Pranikoff’s book includes tools to help students reflect on their group’s interactions. With their curated book lists from the lesson above, children can form discussion groups. Provide sticky notes and pencils for students to write a recommendation that grabbed their attention. Post sticky notes on the wall, take a picture, and share the photo with #AASLstandards and #read=hopexchange. Gather the books for their next visit to the library. Read Each Kindness by Jacqueline Woodson. Ask children to consider a time when someone was unkind to them or when they were unkind to another person. What happened? How did they feel? How did they make things better? Tell the children to share their stories with the group. 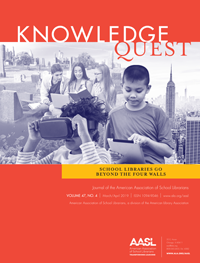 How will you integrate Read = Hope x Change with the AASL’s National School Library Standards? 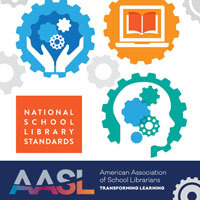 Please share ideas and lessons on the Discussion Forum on the AASL Standards website or on social media using #AASLstandards. Maughan, Shannon. Jacqueline Woodson Named National Ambassador for Young People’s Literature. Publisher’s Weekly, 4 January 2018. https://www.publishersweekly.com/pw/by-topic/childrens/childrens-industry-news/article/75729-jacqueline-woodson-named-national-ambassador-for-young-people-s-literature.html. Accessed 4 January 2018. “Teaching Talk by Kara Pranikoff. A Practical Guide to Fostering Student.” https://www.heinemann.com/products/e08676.aspx. Accessed 8 Jan. 2018. Thank you for your post, Maureen. I would also like to add the possibility of conducting face-to-face or online literature circles focused on Jacqueline Woodson’s middle grade novels. Ms. Woodson’s work is a rich source for readers’ individual responses as well as thought-provoking group discussions. Moreillon, Judi. 2009. Learning and Teaching in WANDA Wiki Wonderland: Literature Circles in the Digital Commons. Teacher Librarian 37 (2): 23-28. Thank you so much for sharing your great work, Judi!